Rahm Emanuel splurges on amenities for the elite, while poor and middle-class Chicagoans suffer. Rahm Emanuel inherited a tough challenge when he became mayor of Chicago in 2011: the city faced hundreds of millions of dollars in budget shortfalls and crippling unfunded pension liabilities. Yet Barack Obama’s former chief of staff managed to make things worse by pursuing a policy of elite-oriented urbanism, or what Joel Kotkin and Fred Siegel have dubbed “gentry liberalism”: increased spending on amenities and subsidies targeted at the elite, accompanied by painful cuts in basic public services for the poor and middle class. In 2012, for instance, Chicago slashed its library budget by $8 million—nearly 10 percent—forcing reductions in hours and staffing levels. The city also closed half of its mental health clinics. These cuts could perhaps be justified for budgetary reasons if the pain were spread evenly. 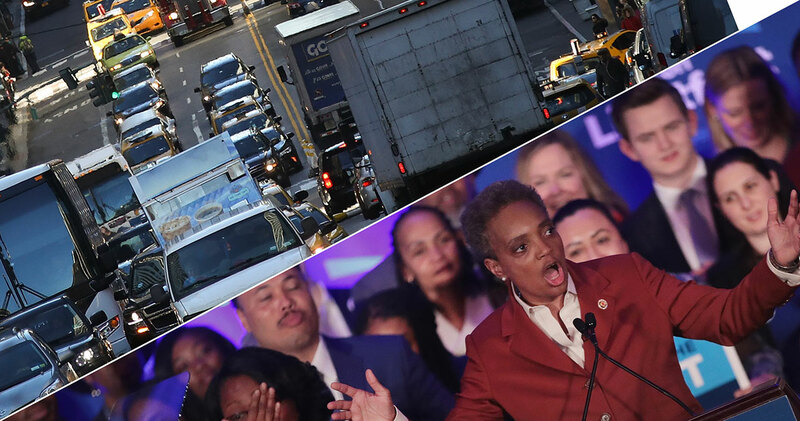 But Emanuel—relying heavily on tax-increment financing (TIF) subsidies greatly expanded under his predecessor, Richard M. Daley—has doled out a nearly limitless stream of money for upper-tier benefits. 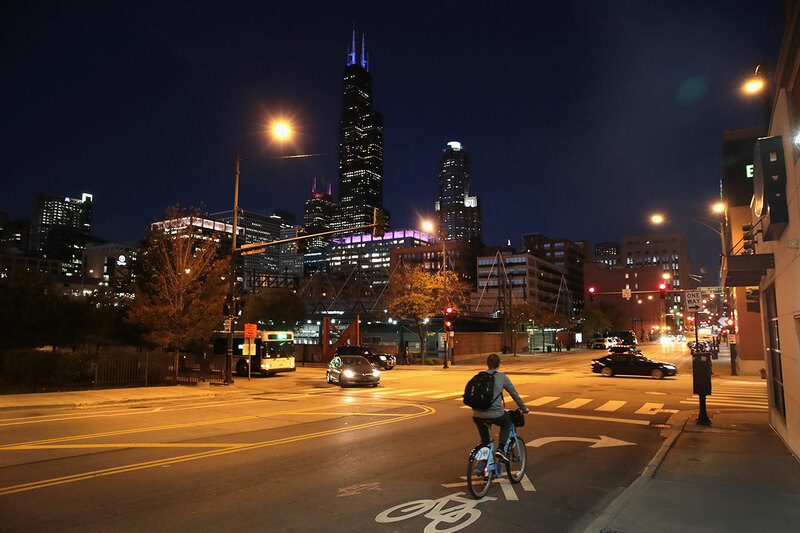 Hoping to lure talented young professionals, Emanuel has brought protected bike lanes and a bike-share program to Chicago. The city is spending $100 million on a lavish, six-block “riverwalk” along the Chicago River and $54 million on Chicago’s answer to New York’s High Line—the Bloomingdale Trail, a project first conceived under Daley’s administration. Chicago gave $30 million in TIF subsidies to the developers of a new office tower, one of many special breaks offered to downtown businesses and developers. Perhaps most infamously, the city extended another $50 million in TIF funds to DePaul University for a dubious arena project that actually takes commercial property off the tax rolls. Chicago’s TIF program has long been criticized as a mayoral slush fund. Ostensibly a tool for redeveloping blighted neighborhoods, TIF enables any new tax dollars generated in a district—the so-called “increment”—to be fed back into a special fund that can only be spent in that district. This projected revenue stream can be used to back bonds to finance infrastructure and jump-start development. At least, that’s the theory. Many of Chicago’s most prosperous neighborhoods are located in TIF districts and have generated huge incremental revenues. The Central Loop TIF district took in nearly $1 billion over its lifetime. When the district was slated to expire due to a statutory sunset, the city created the giant LaSalle Central TIF—covering a booming part of the West Loop—to replace it. None of the taxes from new developments in these districts flows automatically to police, libraries, parks, or schools. The funds go into the city’s TIF account, and the mayor has discretion on how they’re spent. Some TIF funds have been used for construction of new schools, but more than half have been handed out as subsidies to private businesses. The true purpose of Chicago’s TIF districts—which now take in about $500 million per year—appears to be tending to high-end residents, businesses, and tourists, while insulating them from the poorer segments of the city. Over the last few years, violent crime in Chicago has made international headlines. Though the city as a whole has seen a significant drop in crime since its early-nineties peak, analyst Daniel Hertz has demonstrated that significant areas of the West and South Sides actually experience more murders than they did even at the peak of the crack epidemic. Unlike New York, where former war zones such as the South Bronx have made radical improvements in safety, many of Chicago’s most dangerous neighborhoods have only gotten worse. Meanwhile, gentrified North Side areas are safer than New York City. Safety levels in Chicago can no longer be plotted on a single bell-shaped curve for the entire city. Today, that curve is split into two—one distribution for the wealthy neighborhoods and one for the poor ones. A lack of resources is part of the problem: the police department is understaffed. Emanuel campaigned on a pledge to hire new police officers, but he quickly backtracked, claiming that he only meant to put 1,000 more officers on the street through reassignments. While the city budget is tight, failing to increase police strength during a murder epidemic is a profound statement of civic priorities. Clearly, cities like Chicago must retain a substantial portion of upscale residents and businesses. Detroit and other cities show the results of failure on this front. Yet the moral case for elite amenities has always rested on the assumption of a broader public good: what benefited the wealthy would also make life better for the rest of the city. That was the argument Mayor Michael Bloomberg made when he said that he wished every billionaire would move to New York so they could help pay the city’s bills. Notwithstanding Democratic mayoral nominee Bill de Blasio’s rhetoric, Bloomberg’s policies have brought tangible benefits to the poor, especially in public safety, even if major problems with housing affordability and economic opportunity remain. Under Emanuel’s leadership, though, Chicago has made peace with a two-tier society and broken the social contract. 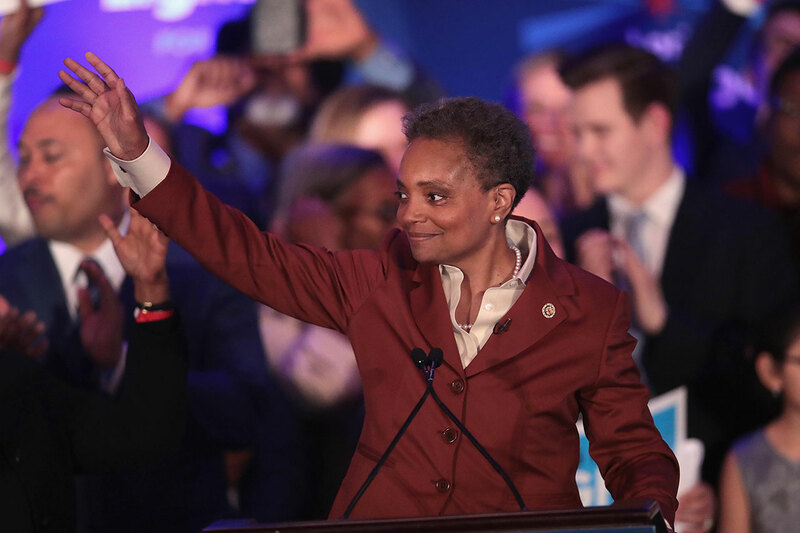 Rather than trying to expand opportunity, Chicago has bet its future on its already successful residents—leading some on the left to call Emanuel Mayor 1 Percent. The Windy City isn’t alone in following this strategy. Detroit has gone bankrupt, but that hasn’t stopped city government from lavishing $450 million in subsidies on a new Red Wings arena. The Motor City’s political leaders are looking to build up Downtown and Midtown, while pruning services to depopulating outlying areas. Fiscal trauma, along with an economy generating wider income inequality while producing few jobs, could lead other cities to make similar choices. The Chicago approach may seem sensible in a difficult climate, but it is not viable over the long term.